The holidays are here and with that frequently comes over-spending. According to a Gallup poll, Americans plan to spend an average of $752 on gifts this year. Regardless of how much you want to spend, consider these tips to keep your budgets in check. Set Your Limit: Before anything else, make a budget. Try not to over extend your financial situation. Consider a limit per person, couple or family. Figure out what will be manageable for you to pay for without carrying Christmas debt in to July. Make a List (And Check it Twice): Going into holiday shopping with a specific list of what you intend to buy for your loved ones can help you stay on task and not impulse buy. Use the 4 Gift Rule: This is a popular approach for parents with their kids, however it could apply to anyone. The key is to get something 1. They want, 2. They need, 3. They can wear, and 4. They can read. Give a Giftless Holiday Experience: The holidays are really about spending time with loved ones and reflecting on what you’re thankful for. There’s no better way to share the spirit of giving than by volunteering. Check out Heart of Florida United Way’s Volunteer Guide that has a list of holiday volunteer opportunities to warm the heart of the whole family. Suggest a Secret Santa Gift Exchange: Buying gifts for a few different people if one thing, but once you get into large groups of friends or co-workers, the grand total can add up quickly. For large families, friends or at work, suggest a simply gift exchange in which one person brings one gift values at $X and you do the holiday grab-bag style. Always try to remember what the holiday season is all about and not to get caught up in making sure everyone’s wishlist is all checked off. 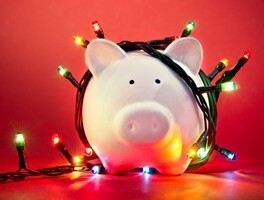 For more savings tips like these over the holidays, check out this article from TheBalance.com.